Saturn is the taskmaster, the god of trials and tests. This planet brings a sense of restriction and hardship to life, yet the rewards of hard work are maturity, responsibility and wisdom. (Or so they tell me.) Saturn rules boundaries and physical manifestation. 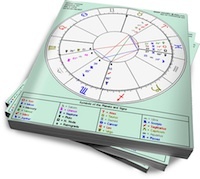 It is the ruler of Capricorn and is associated with the Tenth House. The following essays explore the role of Saturn in relationships. Does Saturn-Venus mean perpetual failure in love? It’s Hell Being a Libra Nowadays!